Adopting the moniker “The Sensitive Thug” for his Tumblr account, stylist Ibrahim “Ib” Kamara purposefully explores and subverts stereotypes. One-time assistant to the late Buffalo collective member and stylist Barry Kamen, Ib Kamara is carving out his own futuristic signature whilst paying homage to stylists of the past. In October 2016, he took to the streets of Paris to cast and style young African-French men with Jamie Morgan – an ode to their late friend and collaborator. 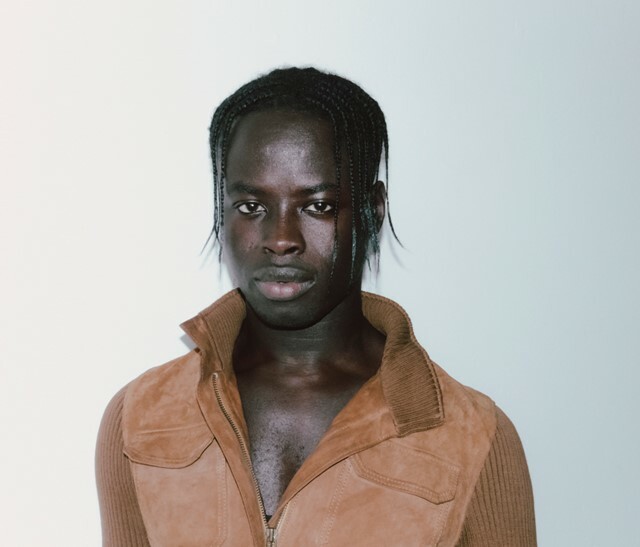 His work 2026, which began life as a project in his final year at Central Saint Martins, and ended at Somerset House as part of the group show Utopian Voices Here and Now, is a collaboration with photographer Kristin-Lee Moolman and showcases Kamara’s unique styling and art direction. His creations are distinctly African (Kamara hails from Sierra Leone and also has ties to Mali), but explore masculinity and menswear in a rule-free way.